My mom was born in Andrews, SC in 1925. Some of her first memories were of the depression-era rural south. That experience had a lot to do with the way she felt about money, politics, and just about everything else. She drilled into my head that saving money was important, that debt was bad, and that you never knew what was around the corner. As I get older, I am constantly reminded of how much of her values I absorbed- even as I tried to ignore them. In turn, a lot of her values are being drilled into my kids’ heads. I hope they are absorbing them- even as they seem to ignore them. My dad died when I was 8 and my mom was 43. 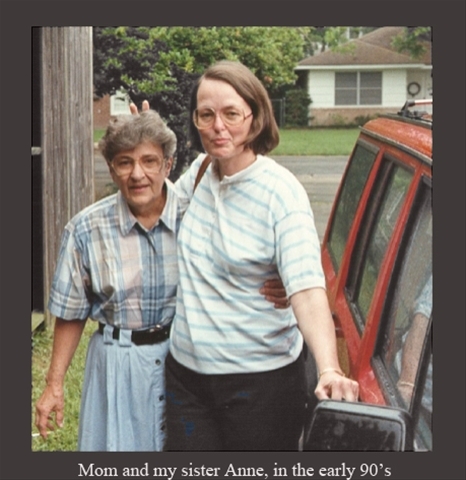 My sister was in college by then, so for most of my formative years it was just me and mom. We fought like cats and dogs at times, and we had great fun other times. She insisted that I do my best and accepted nothing less. It often made me mad, but it also made me who I am. Many of my best memories of my mom involve playing cards and board games. We played Hearts, Spades, Spite and Malice (which we called Spike Malice), Risk, Rummikub, Trivial Pursuit, Scrabble. You name it. The family games we now sometimes have after dinner are another remnant of my mom. She cooked the best chicken livers and made the best biscuits in the world. She was a great tennis player. She loved Bjorn Borg and disliked John McEnroe. She was a huge Wake Forest fan, and we would talk on the phone after every big game. Like the time Randolph Childress single handedly won the ACC Tournament. But she loved her cigarettes. Mom died of cancer 5 days before Cassidy (my oldest) was born. I wrote a short story about it. Part of the reason Cassidy and I are such soulmates is that she pulled me out of that darkness and healed me. After Cassidy was born, I went back home to clean out Mom’s house- the house where I grew up. I wrote this song on her back porch after the movers left. I don’t think about mom every day anymore. I wish I did. But I’m thinking about her on this Mother’s Day. I wish she could know her grandkids. I wish they could know her. Maybe they do a little. Because they know me. Posted on May 13, 2007 December 29, 2012 by KentPosted in LifeTagged mothers day.